Welcome to Bali and thank you for visiting our website Amazing Bali Driver. Introduce my name is Wayan Cenik, I am original local Balinese People and work as a Bali Tour Driver in Bali islands. I have been work in Hospitality since I graduated from the University, with the past hospitality work experience, I able to give the excellent Private Bali Driver Services for the traveler. With the comfortable private car we provide, you will able to enjoy this trip more convenient. Enjoy through the stunning rice paddy view, local village and see the unique daily activities life of people in Bali islands from the private car. You will never get bored during the trip, our team is a professional Bali Driver has been trained to understand what is happening in Bali, familiar with all the tourist destination and give the right information to the guest. 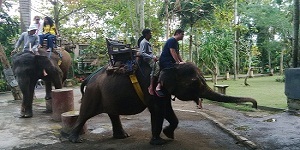 Allowed me to assist you as your Bali Tour Driver during your holiday, We provide you with Hire Private Car and Driver Service in Bali and we offer you flexible Bali tour program arrangement with reasonable price and wide range selection of Bali Driver Service Tour Packages and able to tailor your Bali Tour program with flexible time and itinerary. The Bali Driver team will make your holiday unforgettable moment with the Spectacular Bali Driver Service offered. If you need more information, don’t hesitate to drop us message. Have nice holiday in Bali.